The best option if you want your blog to display nicely on all devices including phones, tablets and desktops, is to use a mobile-ready theme. The mobile-ready themes, also known as responsive themes, are designed to optimize the theme based on which device some one is using to view your blog. If you view a non-responsive theme on most modern phones it will automatically zoom out so that your entire blog can be seen. This means your readers need to zoom in to read your content. Here is an example of what a responsive theme looks like on a desktop computer, tablet and smartphone. 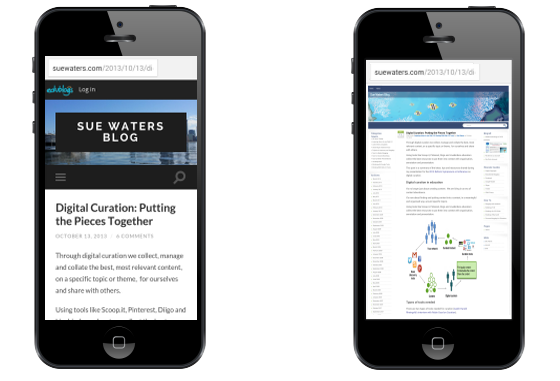 Layout changes when viewed on different devices to make sure important content comes first. Responsive themes feel like a huge change when you’re used to non-responsive themes because responsive theme layout changes as the device size changes. Layout doesn’t change on a non-responsive theme as these older themes are designed to be viewed on desktop computers aren’t optimized for smaller devices. 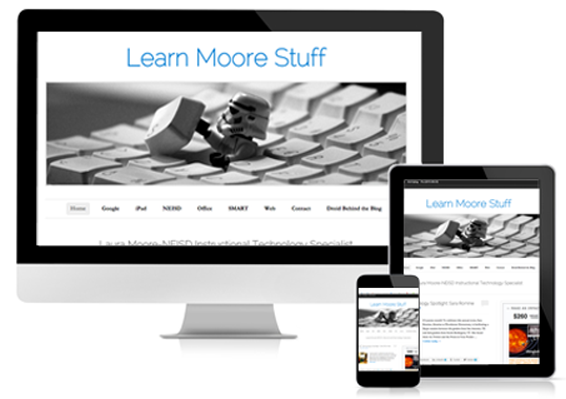 All mobile ready themes are listed under the mobile friendly category in Appearance > Themes.